Looking to maximize your calisthenics training? Calisthenics equipment is quite cheap, and you can setup an amazing home gym for a lot less than some larger home gyms costs. Here are the 9 Best Pieces of Calisthenics Equipment , really all that you need to get ripped, exercise all parts of your body, and stay in shape. A power tower is a great all-in-one solution. Rather than investing in a pull up bar, dip bars and push up bars/handles, all are right there (on many models) and you can easily move from one station to the other to increase muscle mass and improve strength as well as balance, mobility, and flexibility. Exercises you can do on a a good power tower include pull ups, dips, leg raises, knee raises, alternate leg lifts, calf raises, and push ups. Since all the stations needed for a complete calisthenics workout are right there, you can get full body benefits and the convenience of having a gym like set up at home. The Xmark Power Tower is great for Calisthenics, since you can do pull ups, dips, push ups and vertical knee raises, all in one machine. It is also sturdy and comes at a good price. It has a 350 lb. weight capacity. On the Weider Power Tower you can do pull ups, push ups, dips and vertical knee raises. You get a lot of possibilities for body weight training in just one machine. It is sturdy and durable and has a weight capacity of 300 lp. See our in depth Top 5 List of Power Towers here. The pull up bar is an adaptable piece of equipment essential to any calisthenics routine. You can do pull ups as well as chin ups and abdominal calisthenics moves like hanging knee raises, leg raises, scissor kicks and the very challenging windshield wipers. Pull up bars come in several variations. There is freestanding pull up bars, doorway pull up bars, telescopic door frame bars and wall mounted bars. Freestanding bars consist of a sturdy frame, often made of steel or aluminum, with a bar up top. These models are lightweight with easy assembly and disassembly instructions for convenient storage. Doorway pull up bars hang from your door frame while you wedge telescopic models in the door frame (with the door open, of course). Lastly, wall mounted pull up bars are permanently mounted to a sturdy wall or into the studs of drywall. When looking for pull up bars, consider the materials and construction. Most will recommend coated steel tubing since you will be hanging from the bar. It will stand the test of time and show little wear. Pull up bars should also have rubberized or dense foam cushions for comfort and grip along with strong welds. The ProSource Pull Up Bar has 12 different grips, which is great for doing wide, hammer and close-grip exercises. It is made of high grade steel and holds up to 300 lb. This doorway bar is quite basic, but cheap and sturdy. It holds up to 300 lb. Good for those on a budget. See our in depth Top 5 List of Pull Up Bars here. Ab wheels develop the abs, target the core and strengthen the entire body by activating a long list of muscles. By involving several muscles, they considerably increase the intensity of your average calisthenics abdominal routine. Each repetition activates about 20 muscles. These include the abs, obliques, and core muscles as well as the hip flexors and many others. Another reason everyone needs an ab wheel is the impact it has on balance. Balance is all about the core so developing a strong trunk means added stability. The Ab Carver Pro has very nice grips compared to other ab wheels. Since the wheel is wider and sturdier it is easier to do the exercises versus the old style ab wheels that are narrow. You get more stability. The price for the Ab Carver Pro is also right. Having a pair of high quality training gloves will improve every calisthenics workout. Since this method involves using your body weight instead of equipment like barbells and dumbbells, you can work out anywhere. One day you may exercise in your home gym, take it to the streets the following day, the park or somewhere in between. In addition to providing your hands with a layer of protection to prevent injury as well as calluses and blisters, the gloves improve grip during bar training. When shopping for gloves look for breathable fabric, Velcro fastening, textured palms (for grip) and ensure you get the right size. Proper fit is important! Dip bars primarily focus on the upper body, more specifically the chest, arms, and shoulders. They even improve abs training. Since dip bars allow you to elevate your body and bear more of the body weight, they improve the effectiveness of each rep by activating more muscle fibers. Although the parallel bars do limit directional movement, targeting different areas of the upper body is as easy as leaning forward, back or keeping your torso straight. As for abs, dips bars will accommodate several knee and leg raise variations. You will find dip bars on both dip stations and stands. Dip stations are simple frames with parallel bars while dip stations offer the benefit of more height as well as angled grips. Comfort is a huge consideration when looking for either a stand for station. Only consider those with comfort grips, arm pads and a cushioned back rest if included. Many hear push up bars and wonder what purpose they serve. Of course, you can do standard push ups on the ground but the extra elevation allows you to keep your wrists angled more naturally to avoid strain and discomfort. Eliminating the cause of wrist discomfort puts the focus on the arm and chest muscles resulting in more strength and size. They also allow more chest work by letting users drop closer to the floor. When selecting push up bars, please remember that push up bars and handles differ. Bars are a solid structure featuring a single running bar while handles are two separate structures gripped in each hand. I really like the quality of the Perfect Fitness Pushup Elite. It has a really good grip, ergonomic handles and smooth rotation. Calisthenics focuses on increasing strength and muscular endurance but adding something as simple as a jump rope will ensure that your cardiovascular health is not neglected and rev the metabolism to burn fat in the process. Fat burn is important since it shapes and sculpts one’s physique. Rather than jumping rope for an extended period of time, give circuits a try. For example, do 25 push ups, 10 jump squats, 30 knee raises and whatever other exercises you choose in your circuit and end each one with 30 seconds of jumping rope. Nylon or leather is best. This will allow you to pick up speed when you are ready. Weighted grips are not needed but they do help users pick up the pace, improve coordination, agility, endurance, and footwork. Gymnastic rings makes you utilize your bodyweight more effectively and add the challenge of stability training. They may look intimidating at first and do take time to get used to but the rings are valuable additions to calisthenics. They focus on upper body development meaning the shoulders, chest, arms, upper back, and core muscles are worked at max intensity. When we hear core, our minds immediately go to stability. Improving core stability is one way gymnastic rings benefit the body but they also better joint stability. Since the rings move in all directions, the body has to work hard to keep the joints positioned. There are different types of rings to choose from. Some must be mounted to the ceiling, portable options consisting of two rings and straps can be secured to a bar, outdoor options are available and others fit on the handles of a dip station. A weighted vest can speed up results by making workouts more challenging. Those who do calisthenics can reach a point where they feel like they should go a little harder. The obvious solution is more reps. When that isn’t enough, adding weight is the best option. 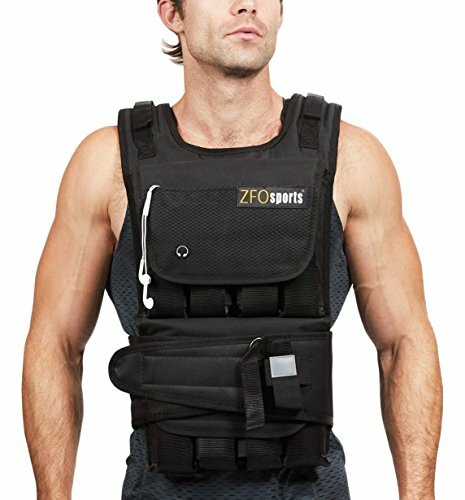 One great option is the adjustable weighted vest by ZFOsports. 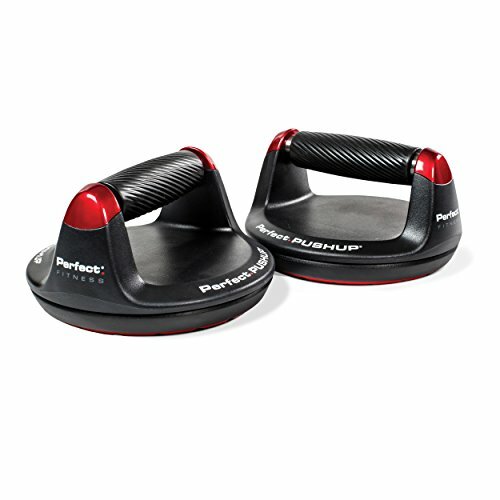 This is a personal favorite of mine, it fits very well and there is no weight shifting when I do dynamic exercises. The best way is creating a workout routine consisting of only compound exercises. They serve as an introduction to calisthenics and will carry on throughout your training. The first step required to create a routine is considering your goals. If you have your eye on gaining muscle mass, try 3-5 sets of 8-10 reps for your selected exercises along with short 30 second to 1-minute rest periods. If you have your eye on more power, keeps reps and sets low but take more time to rest in between sets. As for endurance, high reps, 3-5 sets, and 15-30 second rests is the way to go. To get all three benefits, switch things up regularly. Train for size one day, endurance the next and so on. It is natural to want to jump in with both feet and start pumping out reps. Before you do, take 10-15 minutes to warm up. A proper warm up will increase blood flow to active muscles thus increasing nutrient flow to those muscles, improve contraction and reflex times, prevent injury and boost energy production for better performance. Gradually cooling down at the end matters too. A series of flexibility exercises will benefit recovery and prevent muscle soreness. Since you have all this equipment to enhance your training, you have to know what to eat to support your efforts. Calisthenics is about hypertrophy (increasing the size of muscles), strength and endurance. To do that, you need fuel to keep the body going. Otherwise, you are compromising both your performance and progress. Protein is the macronutrient that provides muscles with amino acids while carbs and fat both serve as energy sources. Most would suggest that you determine what macronutrient split works for you. A 40-40-20 split (protein, carbs, fat) is a good starting point but let’s simplify things a bit. For size and strength, try consuming 0.6 grams of protein per pound of bodyweight. Muscles are over 25% protein while the remaining 75% is water and glycogen stores. Amino acids bond and create long chains resulting in proteins. These proteins are the building blocks of lean muscle mass and the body as a whole. Delivering a steady flow gives the body the ability to build, repair and maintain muscle tissue. Additionally, keeping the body anabolic results in more power, resiliency and prevents catabolism (the breakdown of muscle tissues). As for carbs and fat, they are energy sources that maintain satiety and deliver a number of essential nutrients. The thing is, not all carbs and fat are created equal. Anyone serious about their physical fitness has to eat clean. This means your carbs are complex (whole grains, vegetables, quinoa) while the fat in your diet comes from foods like avocados, olive oil, fatty fish, nuts, and seeds. Every piece of equipment mentioned is a great addition to your calisthenics routine. Just remember that new equipment does not teach proper form or technique. Each item added to your home gym means you have more to learn. Fortunately, perfecting compound exercises prior will give you the knowledge required for correct use. Lastly, always take time to discover what works for you and go with it. A huge part of fitness is listening to your body.